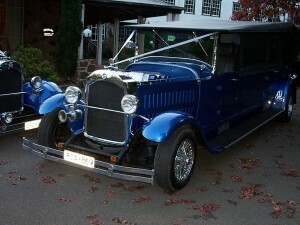 The introduction of our first limousine in 1997, this 1926 Studebaker limousine has been hand built by Jim. 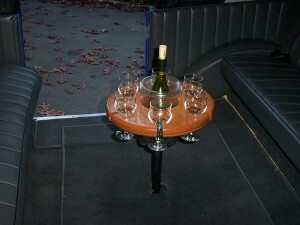 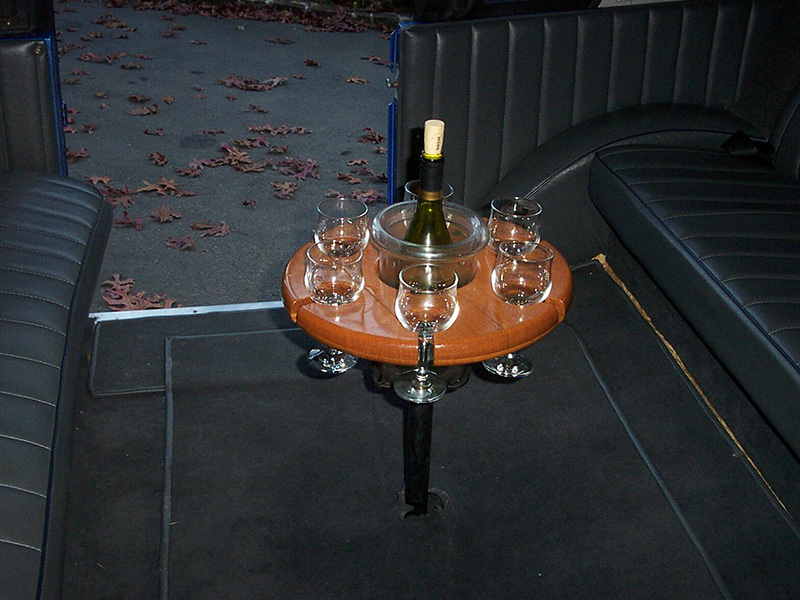 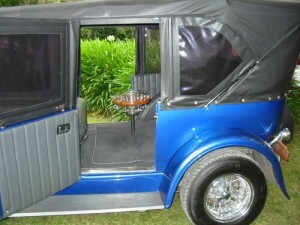 It was designed to seat five passengers comfortably in style. 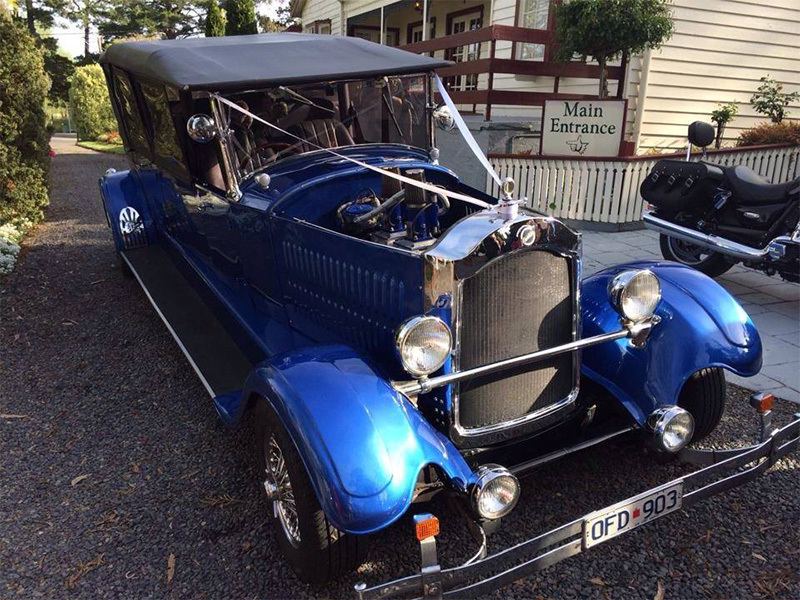 Powered by a 350ci Chevrolet V8 engine, you will not only be cruising but you will be cruising in style. 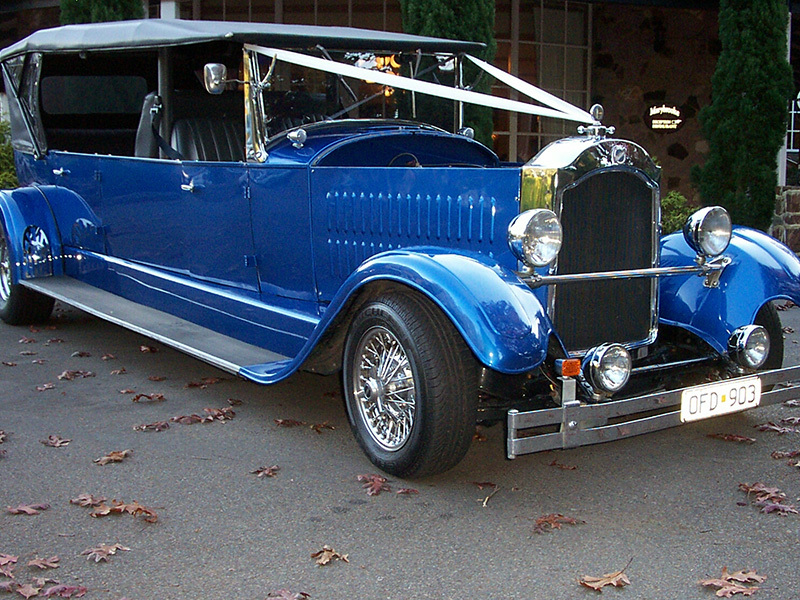 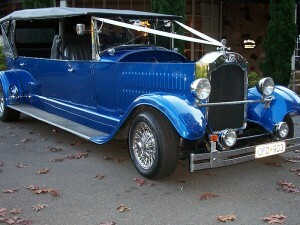 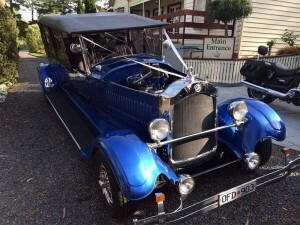 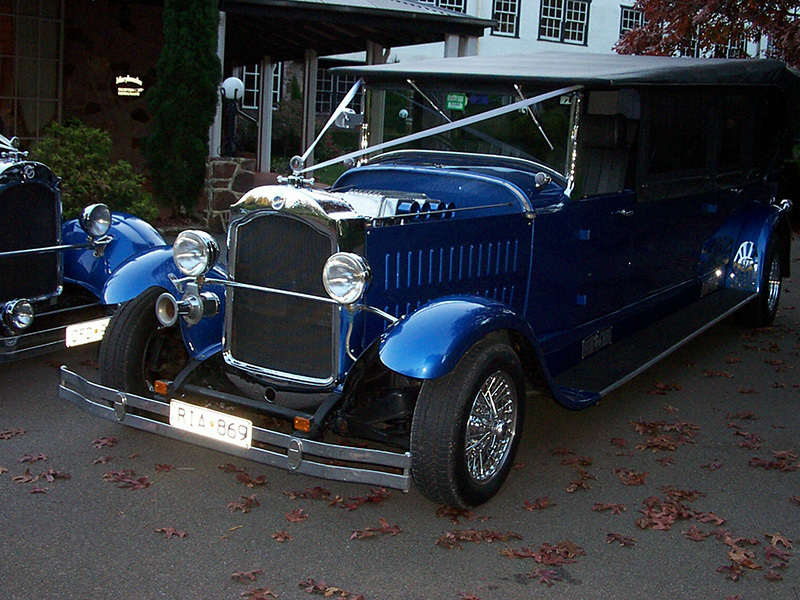 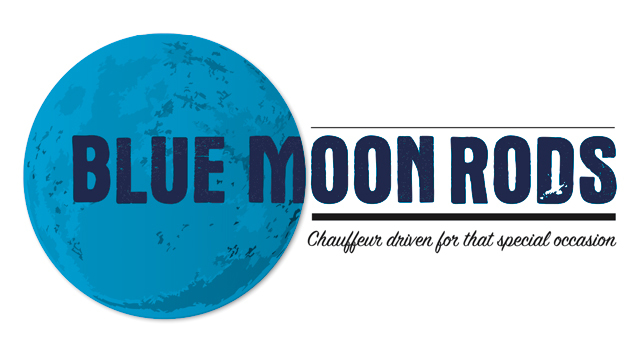 For any enquiries about making your next event entrance in a Blue Moon Rods 5 seater Limo, the 1926 Studebaker, contact us today.